I love the Wednesday-before-Thanksgiving SO much! It’s a day of hopes, of dreams, of non-crazed prep and happy anticipation! This Wednesday-before-Thanksgiving is even MORE special! Today I await the first shipment of ModeKnit Yarn! Today I will receive my first two base yarns from which we’ll be dyeing our initial batches. I’m so excited! I checked the UPS site, and it’s “out for delivery” – yahoo! 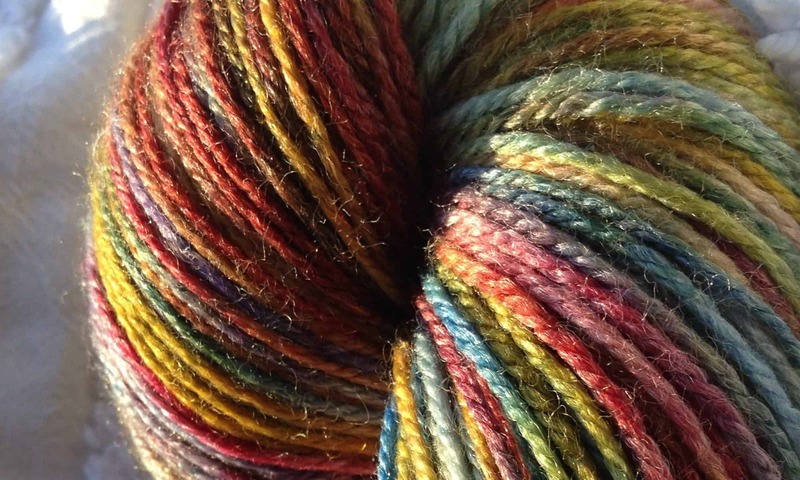 Once I get the yarn, I’ll skein off a few sample mini skeins and test my dye formulas and methods. If all works as I hope (and as it has so far with my 100% SW merino sample yarn) I’ll get the rest of the yarn skeined up and ready to dye this Thursday when we’re using a local space for our experimentation! I’m equal parts excitement, anticipation and fear. Thank heaven turkey and stuffing await me tomorrow! I’ve had great luck with these macaron-like cookies from Dorie Greenspan: http://www.cookstr.com/recipes/old-fashioned-almond-cookies (and yes, they’re gluten-free!). I use purchased almond flour rather than grinding my own, because it’s easier and I’m lazy about cleaning the food processor! I’ve been known to double the recipe but use a 1 pound bag of nut flour and make up the “missing” 46 g with cocoa powder, and they work out fine. Enjoy your holidays. Your meal sounds wonderful. Have you ever read the Oh She Glows blog? She’s vegan, but a lot of her recipes are gluten-free. The yarn! That’s SO exciting!! !